As we have seen, you are fully immersed in the text while you try to discover how it works and what it is about. But in order to make some judgements of it you have to shift your stance a bit. You have to ‘stand back’, as it were, and ask yourself: What do I think about these things I have discovered? This is a computer-animated video (02:29) that describes the three sections of the spine and the structure of the spine. Keep to the subject, and pick the right conference for your contribution. Before you write a message, take time to see what is being discussed and how. Lurking is quite acceptable online. Keep messages short. People don't want to read large chunks of text on-screen. Write a good subject line (title) for your message – people often haven't time to read messages unless the subject line looks relevant. 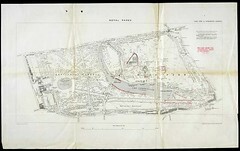 Map of areas of immorality in Hyde Park Catalogue Reference: WORK 16/543. The most appropriate method to present your work may depend on what you are required to do either for your course, or for a work-related project. For example you could be submitting a written assignment, making a presentation to work colleagues, or putting together a collection of designs.